The objective of this program is to prepare students for employment or advanced training in a variety of electrician related industries. The content includes but is not limited to planning and installing electrical wiring, equipment, or fixtures based on job specifications and local codes. The Electrician Technology program prepares individuals with the knowledge and skills needed for employment in the residential electrical trade. The curriculum offers a basic framework of electrical theory and code and provides the hands-on skills needed to install, service and maintain electrical equipment in residential settings. 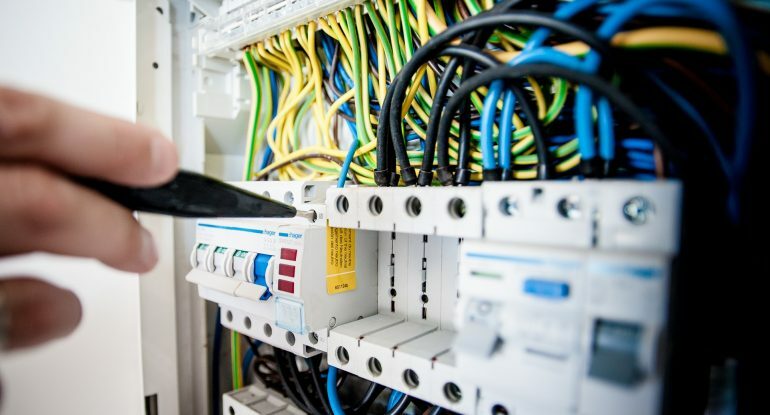 Class includes instruction on electrical safety, trade tools, electrical theory, blueprint reading, common residential wiring installations, wiring alterations and additions to existing structures, troubleshooting, and repairing residential service, and determining circuit load calculation. Students should be aware that employment after this training is limited to working for a licensed electrician. Students can’t work for themselves until obtaining the Journeyman License which requires several years of experience to qualify for the test.